My dogwood tree is starting to bud. Tiny but recognizable cross-shaped blossoms are emerging from its scraggly, thin branches. On this Good Friday, I can’t help but think about the symbolism of the dogwood tree and the speculations of how it came to appear the way it does today. I grew up hearing various legends and poems about how the dogwood was thought to be the kind of tree from which Jesus’s cross was made. I am not a historian, botanist or scientist, so I have no concrete basis to assert whether or not these legends are true. But when I look at the humble dogwood, I can see distinct symbols. 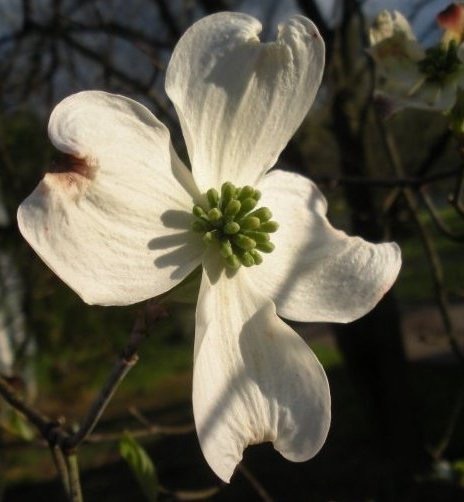 The dogwood’s most distinctive feature is its cross-shaped bloom which emerges every spring. In the center of each blossom is a round green cluster thought to represent the crown of thorns placed on Christ’s head. The edge of each of the four petals, or bracts, has what looks like a small tear or rip, and that rip symbolizes the tearing of Jesus’s flesh by the nails in His hands and feet and the spear in His side. This rip is usually tinged with a reddish-brown edge, symbolic of His shed blood. White dogwoods signify the purity of Jesus and His perfect atonement on the cross, while the pink dogwood is thought to blush in shame at being the tree used to build the cross. The leaves of the dogwood turn a mottled red in the fall, again symbolizing the blood of Christ. According to legend, the dogwood once grew tall, strong and sturdy, which is why it was chosen to be the tree from which the cross would be constructed. After the crucifixion, the dogwood’s shame was such that it never again grew in a way that would allow it to be used for such a horrible purpose. Instead it grows into the smallish, gnarled tree we see today. I marvel at the humble dogwood and its many reminders of the sacrifice Christ made on the cross, for me, for all. Skeptics can say that all the symbols depicted are mere coincidence, and I suppose that is possible. 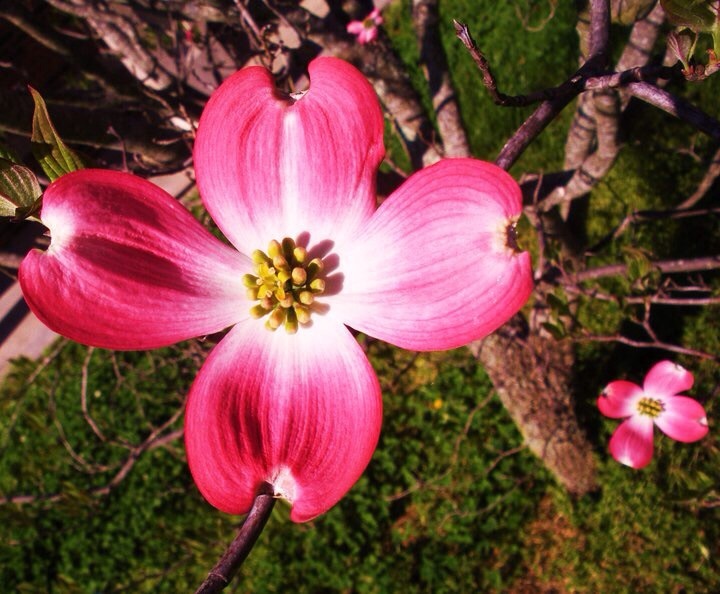 All I know is that, for me, the dogwood serves as a poignant reminder Christ’s life and death. He paid a debt He did not owe, because I owed a debt I could not pay.